What Should I Eat While in Labor? What Should I Eat in Labor? Labor and birth are hard physical work. Women burn a lot of calories during their labor and require plenty of calorie intake to fuel this incredible energy expenditure. At the same time, the desire to eat may not be strong as both a mother's mind and body are focused on the task at hand. A full-term pregnant uterus is the strongest muscle in the human body, and like any other muscle works best when provided with plenty of fuel and hydration. Choose your labor foods wisely, and you will have all the energy you need to go the distance on your birthday! When a woman goes into labor, her body directs a lot of energy and resources into doing the work of labor and chooses not to use valuable calories on "non-vital" processes like digestion, which will slow down considerably. I often suggest to women that they consider having food on hand similar to the type of food that they might choose when they are suffering from a cold or the flu. Easy to prepare, easy to eat and easy to digest. Nothing too spicy or greasy is a good thing to keep in mind, just in case, as you feel nauseous and may vomit during labor. Consider having some good sources of protein on hand to eat during your labor. Greek yogurt, nut butter, protein shakes, and cheese will all go down easy and offer your body the protein it needs to help you through labor. if you are birthing in a location that does not provide access to a refrigerator, consider bringing a cooler with some ice packs to keep your perishable food at a safe temperature. Multigrain bread or crackers, whole-wheat pasta, brown rice, and oatmeal are good sources of fiber and offer carbohydrates that will provide energy during a long labor. These can often be combined with your protein source and create a nutritious meal. An early labor task might be to cook up a big pot of chicken noodle soup, that will be available later when you are working hard. You can keep busy and be more prepared when your labor picks up. Assorted berries, grapes, melons, and the "easy on your stomach' banana are good fruits to have on hand. I always envied the women birthing during summer months who have lots of in-season fruits that are full of flavor to choose from. Having them cut up into bite size pieces all ready to go will make things easy for you and your labor team. Some women even find freezing berries, grapes, and other grab and go fruit makes for a soothing, cool treat when you are working hard. A smoothie is a nice way to consume the fruit, and your birth team can add some protein powder for an added boost. Don't forget to have some extremely easy to digest energy sources, that you can quickly nibble on in between pushing contractions. These simple carbohydrates will give you a quick burst of energy as you get ready to meet your baby. My favorites are honey sticks and the single serve "energy gels" available in a variety of interesting flavors similar to the products that marathoners use during their races. Your birth team can offer these for you to eat during pushing to help you get and keep that second wind. Staying hydrated is just as important as eating during labor. 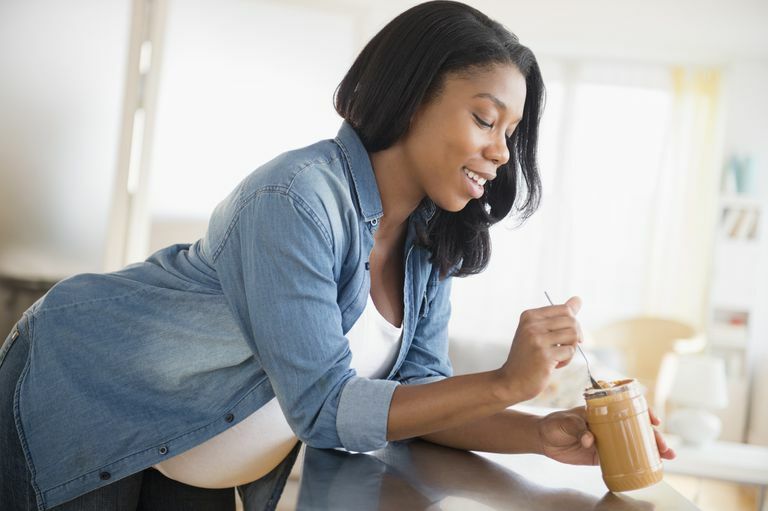 Taking frequent sips of your favorite juice (diluted if necessary when drinking it full strength is too intense), miso soup, or a sports energy drink can help you to remain hydrated and keep your contractions working effectively. I like to avoid the "sports drinks" with artificial food dyes and high fructose corn syrup, and even suggest that women make a simple, homemade "labor-ade" drink in advance to have available. Coconut water is a super beverage that provides you with the important electrolytes you need. Putting your beverages into a sports water bottle makes them easy to drink no matter what position you are laboring in. Labor and birth require an extraordinary amount of energy. Providing your body with the nourishment and energy it needs during labor is just as important now as it was when you were creating and growing this baby during pregnancy. Be prepared in advance with good quality food and beverages on hand that will help you run that labor and birth marathon with strength and power. Mandisa Singata, Joan Tranmer, Gillian ML Gyte. Restricting oral fluid and food intake during labor. The Cochrane Library, 2013 DOI: 10.1002/14651858.CD003930.pub3 Practice Guidelines for Obstetric Anesthesia: An Updated Report by the American Society of Anesthesiologists Task Force on Obstetric Anesthesia, Anesthesiology: Volume 106(4) April 2007 pp 843-863.